I have covered her contemporaries (and frequent colleagues) Helen and Laxmi Chhaya; now it is beautiful Bela’s turn! Many of my favorite Bela musical moments are not part of an actual film song. CID 909, a film that makes Excellent Use of Bela, has a perfect example of that in a scene where she is teaching a dance class. 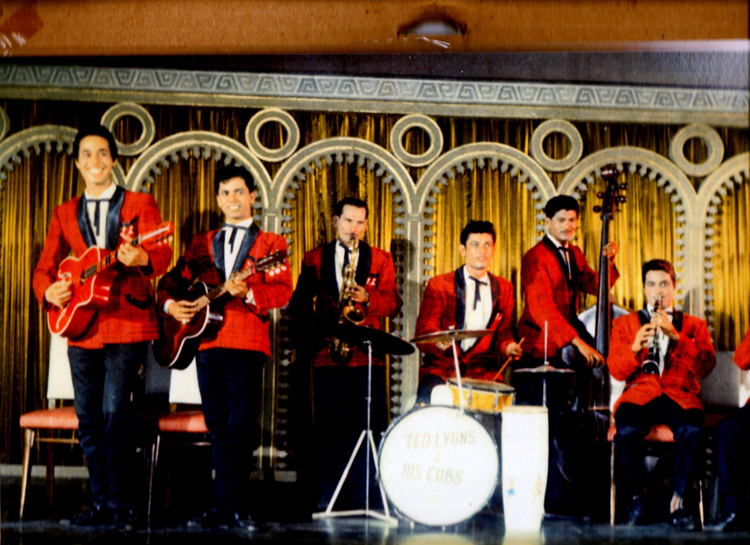 Cha Cha Cha is another—she and Helen dance together in several scenes (one, two—can you spot a very young Mac Mohan grooving along?) but not to an actual song included in the movie’s official soundtrack. Those are often some of the best moments in her films, although she is no slouch at item numbers either. She clearly just loves to be moving and has a wonderfully natural sense of rhythm. Her beauty is exotic: high cheekbones to die for, slanting eyes and full lips, plus a figure to kill for make her unforgettable (she sometimes reminds me of Sophia Loren). Beth and I rewatched this the other night in honor of her Shashi Week 2009 (everyone should have his or her own week, I think, at least once a year). To be honest, Beth rewatched it; I thought I had seen it before, but if so all memory of it had been crowded out by something else—Dara Singh trivia maybe, who knows? I can’t see how I wouldn’t remember it though. It’s a really really good movie. To use Beth’s turn of phrase, it is completely proto-masala in that it has a family separated by circumstance and all the attendant near-misses, filmi irony, etc. along with fabulous sixties (and occasionally fifties) style. The screenplay choreographs the events as smoothly as the film’s title would imply; and what a cast! Balraj Sahni, Achala Sachdev, Raaj Kumar, Sunil Dutt, Shashi Kapoor, Sharmila Tagore, Sadhana, Shashikala, Madan Puri. Wah! At least I retained memory of the songs, since they are composed by one of my favorite (underrated) music directors, Ravi, with lyrics by Sahir; they are just gorgeous. This heartwarming film has some good laughs and sweet romance. 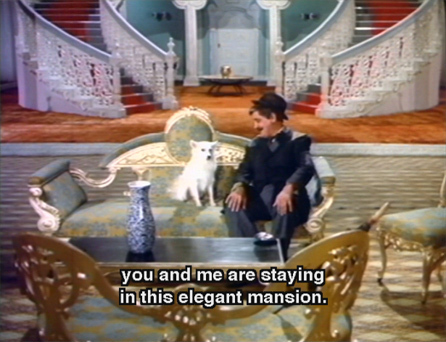 I’ve noticed before, and noticed again with this, that Rajesh Khanna didn’t seem to really mind sharing screen space, and even being upstaged by, other good actors, in this case even during the peak of his career. 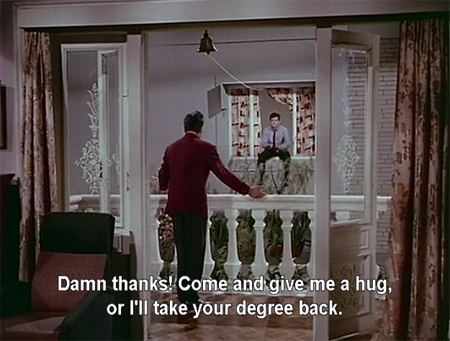 Here it makes for a nice balance between the romantic story and the great chemistry between Ashok Kumar and Om Prakash, who play two older men—one rich, one poor—who have more in common than they think, and a lot to learn from each other too. I was so looking forward to seeing this film. It has a Cinderella-story plot and I am a sucker for romantic fairy tales. 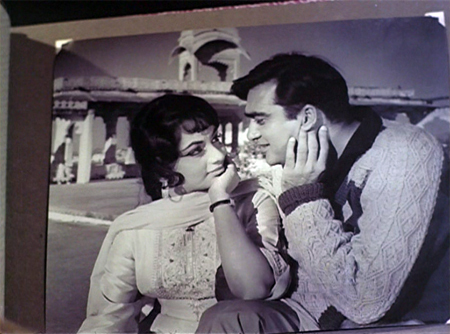 It was the director RK Nayyer’s idea that Sadhana get her famous “fringe” cut in this movie, and they also fell in love with each other during filming. 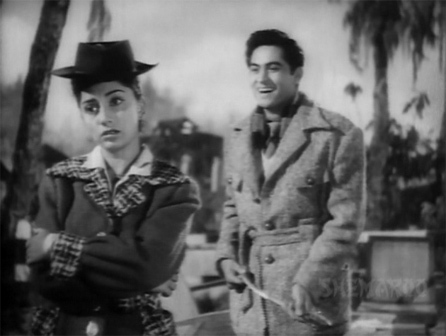 Sadhana’s family threated Nayyer with legal action because she was underage, and they went their separate ways until Raj Kapoor reintroduced them and they finally got married. So awww: real life romantic story too! 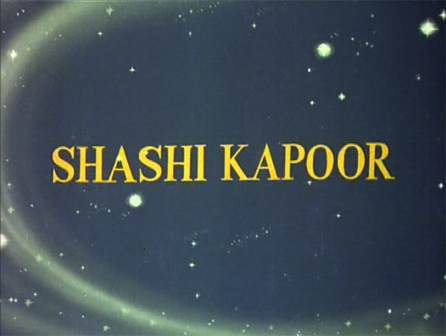 It’s also my first Shobhana Samarth movie. And the music by Iqbal Qureshi is simply gorgeous. Every song is a gem! 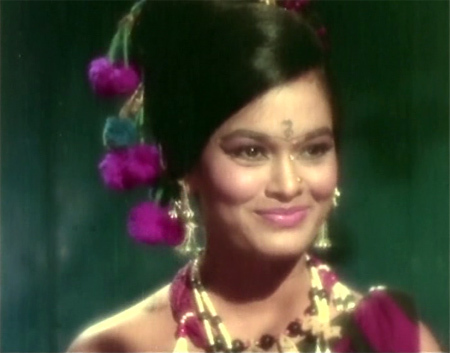 Joy Mukherjee debuted in it, and I think it was only Sadhana’s second movie.